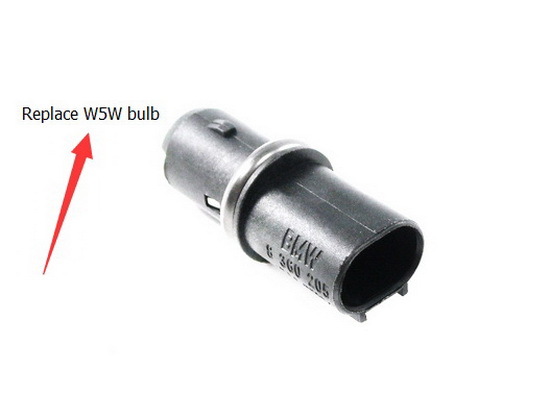 Q: How do I install this on my BMW? 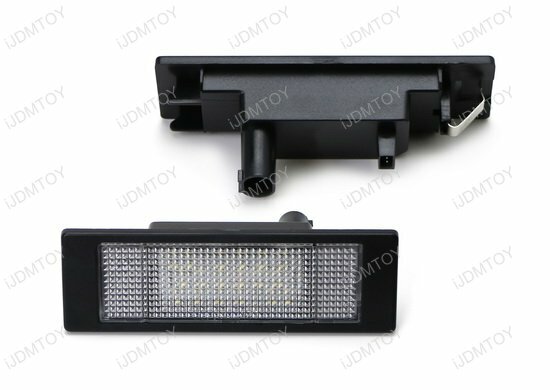 A: For the original incandescent license plate lamps, please remove the original W5W bulb from the bulb socket and replace with the LED license plate lamp's T10 adapter. 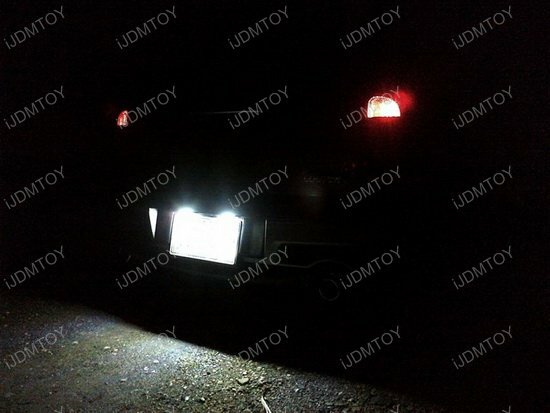 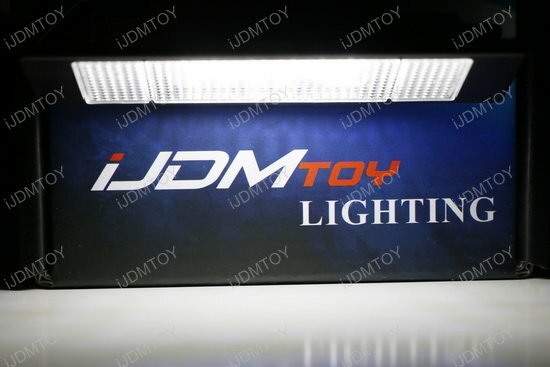 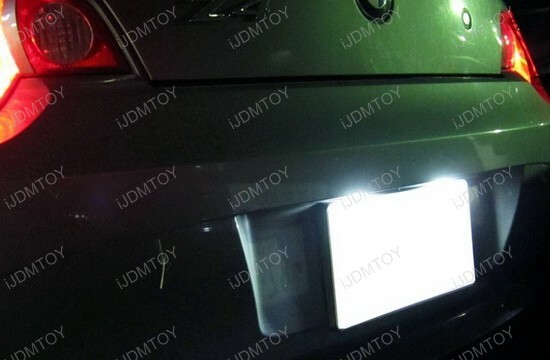 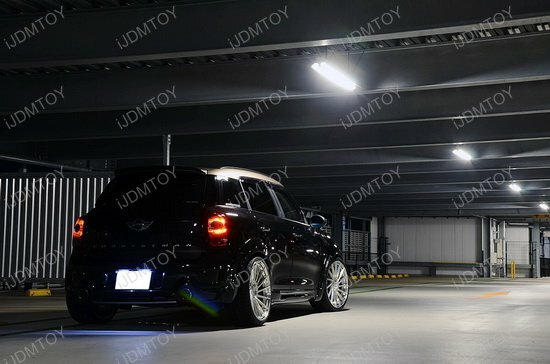 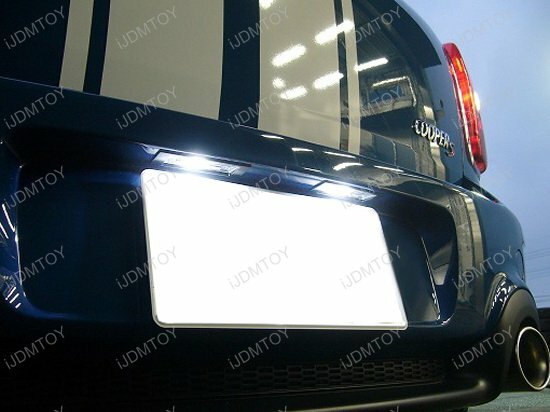 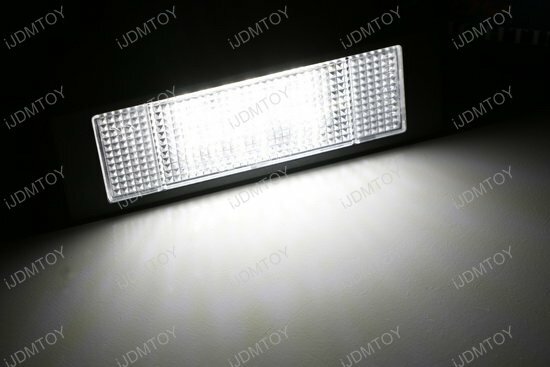 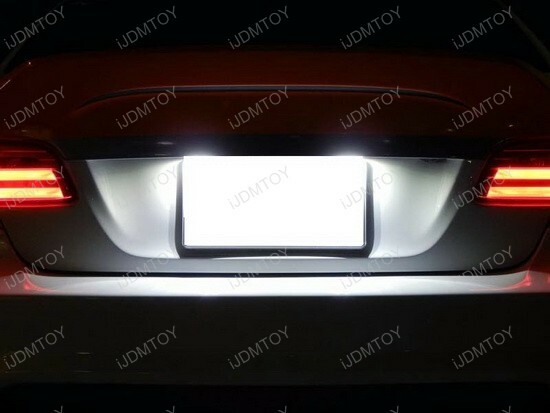 Q: How to mount back the LED license plate lamp? 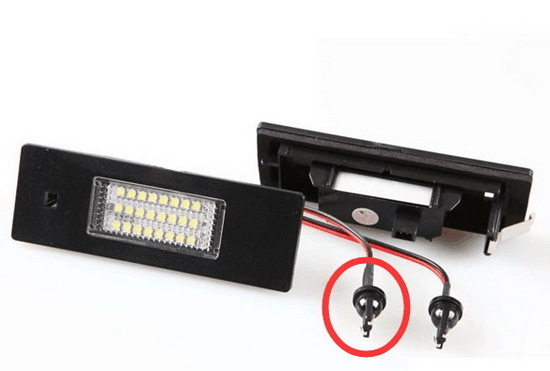 A: For most license plate lamp assembly, there are two clips (one big one and one small one), please take a look at the pictures below for how to install it. 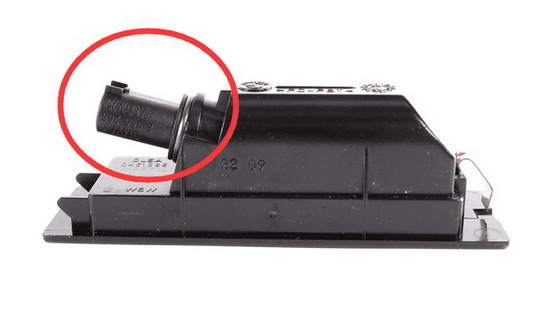 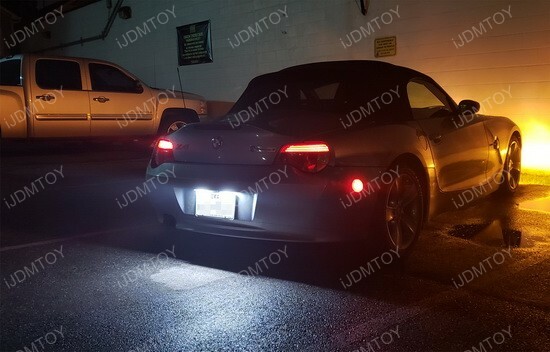 Q: Why do my LED license plate lights have two connectors in the back? 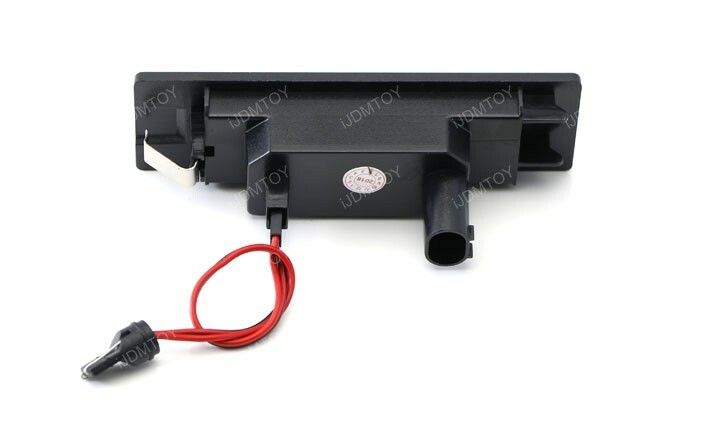 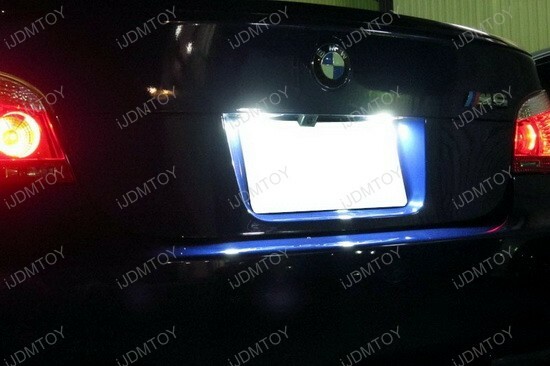 A: This BMW LED license plate assy can replace either the earlier models' incandescent license lights or the later models' 2-LED license light, replacing OEM part numbers 63267193294 and 63267165735. 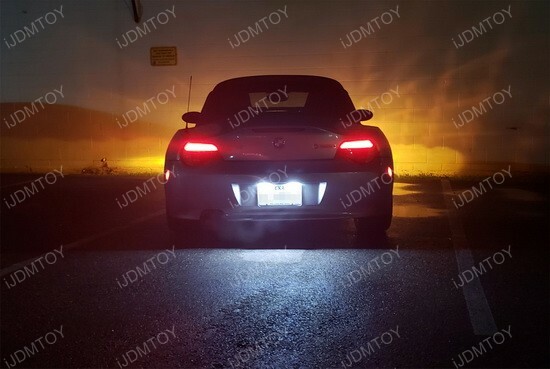 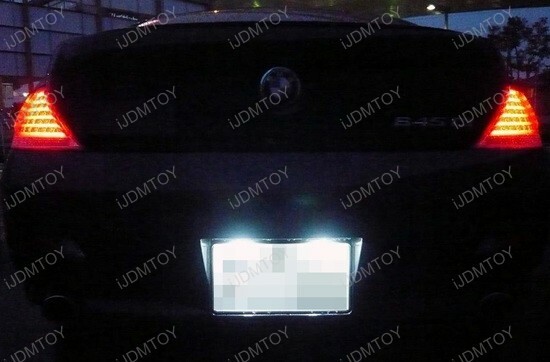 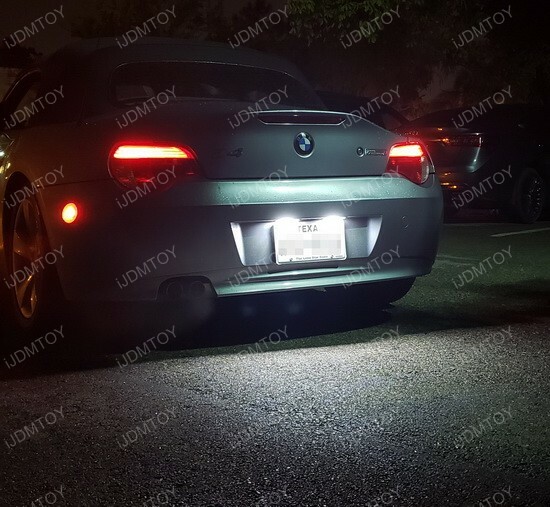 This page features one pair of xenon white CAN-bus error free 24-SMD LED license plate lamps for the following BMW or MINI vehicles listed above. 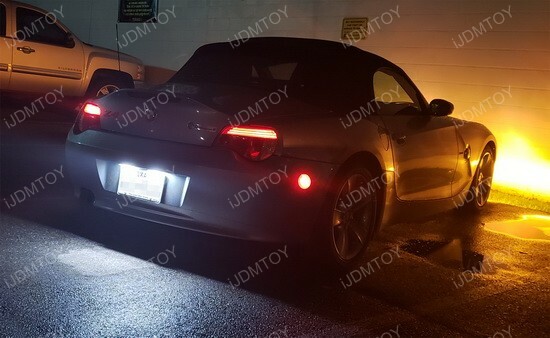 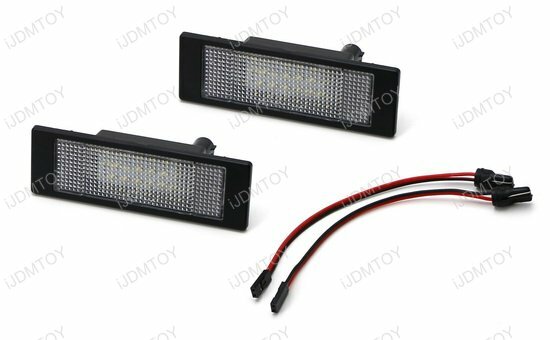 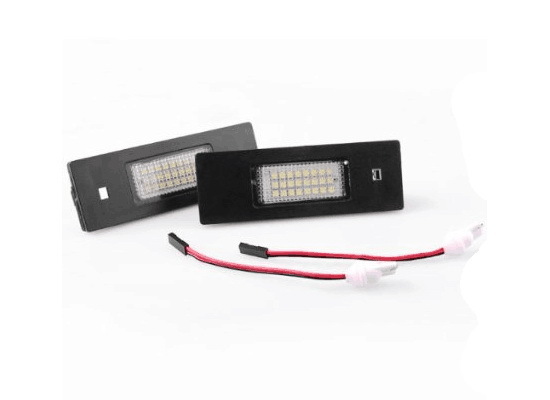 These 24-SMD LED license plate lamps will replace both the original incandescent license plate lamps (OEM part # 63267165735) on the older models and the newer 2-LED license plate lamps (OEM part # 63267193294) on the newer models.